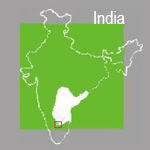 Location/Geography: Chittoor District, Andhra Pradesh State, India, about 105 kms by rail from Bangalore. 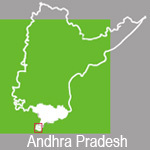 Kuppam town latitude: 12′ 45″ north, Longitude 78′ 20″ east. • The first export of granite (black granite) from India dates back to 1925 from Kuppam to the U.K., for use as a tombstone. 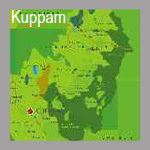 • The first i-community was established at Kuppam in Feb 2002.